With the deepest respect of all martial art disciplines, we offer competition with the ALOHA and OHANA spirit. Our children/students are the leaders of the future, so we encourage competition in the “uhane o ke aloha” or the “spirit of friendship”. A tournament where nobody loses, either you “win” or you “learn”. We are offering First Timer divisions(must pre-register), Team Divisions (kumite and kata), and Division Grand Champions. A special pre-registration price of $60 for unlimited divisions for all competitore. Also we have added for your pleasure, the Filipino Martial Arts divisions and the popular Flag Team competition. Arrive early to participate in our opening ceremomy of all the dojos/teams. We will parade through the venue wearing our dojo colors and carrying our dojo banner. In closing, we will be honoring SGM Jerry R. Corpus who passed away recently in his battle of cancer. Join us in the celebration his life in Martial Arts. 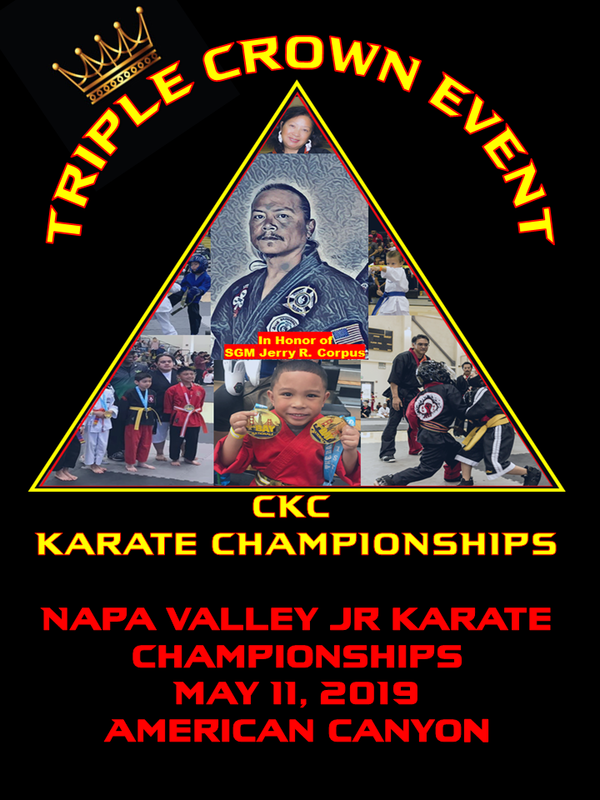 For more information on the CKC, email b_seronio@hotmail.com or call Bobby Seronio at 707-980-2524.